For many halls their insurance premium is their biggest single annual cost. As a consequence it is important to get it right by making sure that insurable risks are covered but that expensive, unnecessary protection is not purchased. 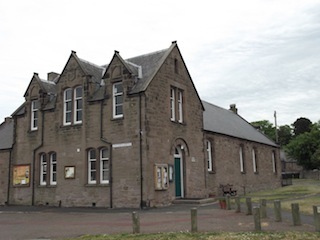 There are a number of insurance brokers and companies which offer services to village halls where various types of insurance cover (buildings, content, public liability etc.) are packaged together often giving good value. Other companies offer free cover for defibrillators, others offer free or low cost revaluation services to make sure you are not underinsured in the event of a substantial claim. Periodically we conduct a short survey of specialist companies inviting them to tell us what discounts & services they are currently offering to members of the Consortium. We plan to do so again over the next few months (by June 2019) and a summary of the results, together with contact details, will be made available on this site. It is always good practice to test the market by regularly seeking quotes from several suppliers. Please bear in mind that a high percentage discount on a high initial quote might not be such good value as a smaller discount on a lower quote. It is recommended to obtain a rebuild valuation every 5 years to protect trustees from unnecessary risk. It is important that management committees recognise the danger of underinsuring their halls. If you are unfortunate enough to make a claim and the insurance company calculates that you are currently underinsured by say 30%, it will only pay out 70% of your claim for loss. Until recently, halls needed to instruct professional surveyors to undertake a re-build valuations for insurance purposes to make sure they were adequately covered, but often found the fees charged prohibitive. Over the last 2 years a number of insurance companies have introduced their own valuation services sometimes requiring halls to provide photos, drawings etc to help reduce costs. Some appear to be particularly good value. The usual condition is that you will have to be insured through them to take advantage of this service.